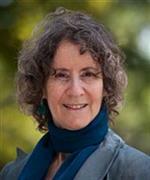 Dr. Hertz-Picciotto, PhD, is Director of the NIH-funded UC Davis Environmental Health Sciences (EHS) Center; and Professor in the Department of Public Health Sciences, School of Medicine, UC Davis. She is an internationally renowned environmental epidemiologist with over 300 scientific publications addressing environmental exposures, including metals, pesticides, air pollutants and endocrine disruptors, their interactions with nutrition, social factors and genetics, and their influences on pregnancy, the newborn, and child development. Over the last 15 years, she has built a comprehensive research program on the environmental causes for autism, which has produced seminal papers on the links with pesticides, traffic-related air pollution, low periconceptional folic acid intake, and untreated fever during pregnancy. The EHS Center that she directs fosters collaborations across disciplines as diverse as molecular biology, public health, pulmonology, engineering, chemistry and sociology to identify key drivers of environmentally induced disease and disability, and partners with government agencies and community organizations to develop interventions that can reduce the harmful exposures and improve health. Dr. Hertz-Picciotto has held appointments on numerous state and national advisory panels to organizations such as the U.S. Environmental Protection Agency, NIH National Toxicology Program, California Air Resources Board, and California Proposition 65 Carcinogen Identification Committee. She chaired three National Academy of Sciences, Engineering and Medicine Panels, mentored 75 pre- and post-doctoral trainees, taught epidemiologic methods on four continents, and in 2011, received the Goldsmith Lifetime Achievement Award by the International Society for Environmental Epidemiology. Recently she co-founded Project TENDR (Targeting Environment and Neuro-Developmental Risks), a collaborative effort of scientists, clinicians, policy-makers and advocates that aims to decrease the incidence of neurodevelopmental disorders by reducing neurotoxicant exposures that contribute to them. Chaidez V, Hansen R, Hertz-Picciotto I. (epub 7 Mar 2012) Autism spectrum disorders in Hispanics and non-Hispanics. Autism: The International Journal of Research and Practice 2012;16(4): 381-397. Howards PP, Hertz-Picciotto I, Bech BH, N?hr EA, Anderson AMN, Poole C, Olsen J. Spontaneous abortion and a diet drug containing caffeine and ephedrine. PLoS ONE November 16, 2012. Krakowiak P, Walker CK, Bremer AA, Baker AS, Ozonoff S, Hansen RL, Hertz-Picciotto I (epub 9 Apr 2012). Maternal metabolic conditions and risk for autism and other neurodevelopmental disorders. Pediatrics 129(5):e1121-8x. Paper of the Month for April 2012 by NIEHS, as senior author: Krakowiak et al. Maternal metabolic conditions and risk for autism and other neurodevelopmental disorders. Pediatrics 2012; 129(5):31121-8x. Schmidt RJ, Hansen RL, Hertz-Picciotto I (epub May ?12). Maternal periconceptional folic acid intake and risk for autism spectrum disorders in the CHARGE case-control study. Am J Clin Nutrition 2012 Jul;96(1):80-9. Tassone F, Qi L, Zang W, Hansen R, Pessah I, Hertz-Picciotto I (Aug 2011). MAO-A, D?H, and 5-HTT variants in CHARGE: a case-control study of autism spectrum disorders. Autism Res 4:250-61. Schmidt RJ, Hansen RL, Hartiala J, Allayee H, Schmidt LC, Tassone F, Hertz-Picciotto I. (epub May 2011) The combined effects of maternal prenatal vitamin intake and common functional gene variants in folate and transmethylation pathways on risk for autism spectrum disorders in the CHARGE Study. Epidemiology 2011;22:476-485. Zerbo O, Iosif A-M, Delwiche L, Walker C, Hertz-Picciotto I (epub May 2011). Month and season of conception as a risk factor for autism/autism spectrum disorders. Epidemiology 2011;22:469?475.